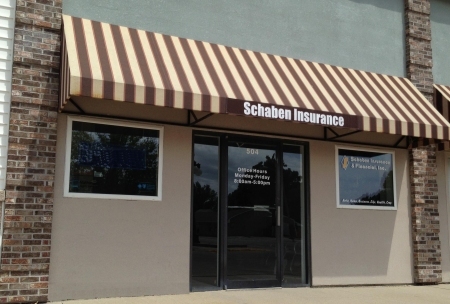 Home & Auto Insurance - Schaben Insurance & Financial, Inc.
We’re an independently owned and operated agency in Panama, Iowa and we deliver comprehensive insurance and risk management solutions throughout Western Iowa. We’ve served individuals, families, and businesses for almost two decades and our agents have over 90 years of collective experience. Our two locations help us meet clients’ needs with ease and allow us to be flexible. We offer a wide variety of personal and commercial insurance programs. On the personal side we have home, auto, and life programs, each of which is fully adaptable to the needs of individual clients. For commercial enterprises we have a business program that provides the coverage necessary for complete security. We also have programs for specific industries, and these programs address the needs of businesses that require more than general protection. Additional coverages are available for any policy and when possible, combinations of policies and packages can be made. Our agents are local and take pride in serving the needs of residents of Western Iowa and in being active participants in the communities they serve. Farming and raising crops are common professions in our state so our agents deliver farm and crop insurance solutions with tremendous attention to detail and an ever-growing knowledge of the farming industry. Also, our agents attend the Cattlemen’s Annual Fundraising Banquet to further engrain themselves in the farming community. Every member of our staff is dedicated to giving clients the best experiences possible. We’re always reachable, so clients are never without important information or unable to make changes. We manage risk and claims, perform regular policy reviews, and stay current on trends that affect or products. As a result, clients reduce costs and always have effective coverage. Also, we stay as active in our service communities as possible, so we attend parish picnics and support ovarian cancer awareness events.